The Urbana was custom-designed in-house. It’s not some cookie-cutter Taiwanese frame with some extras thrown onto it. 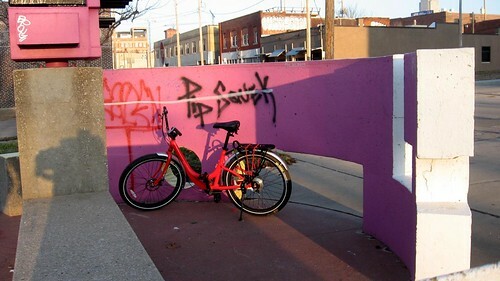 The design goal was to create a different kind of urban bike. Inspired by freeride/downhill mountain bikes and European utility bikes, the Urbana is built be a one-size-fits-all bike for around-town errands, standing up to heavy loads on blighted roads. I was challenged by Haniya at KMI to push the Urbana to its limits. If there’s one thing I can say about Kansas City, it’s that the late winter and early spring time can be really strange for cyclists. I just got back from a nice mountain bike ride, and it’s just beautiful outside: Partly sunny, 75°F with a light breeze. I was using the massive 2.7″ wide tires for “suspension” as I tackled rocks, tree roots and muddy ruts on my favorite local singletrack course. 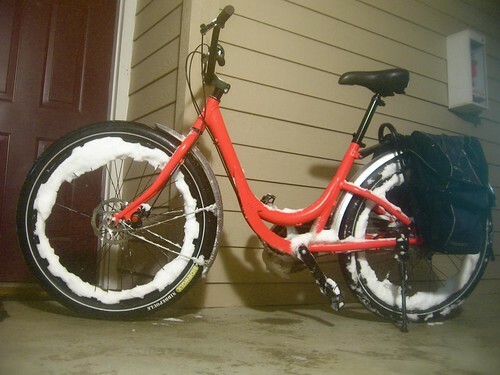 Just a few weeks ago, I was using the same tires to carve through a snow storm to get groceries. I’ve put the Urbana on a bus to take it downtown. I’ve picked up several huge loads of more than 60 pounds from nearby stores. I’ve taken it on a few short, slow group rides and there were a few days where I logged more than 25 miles on it pretty much in one run of things. I’ve intentionally bombed straight into the most treacherous of pot-holes, smacked it into curbs, took it off some sweet jumps and ridden it down countless stairways. To say I’ve wrung this bike out would be an extreme understatement. So now, the question remains: How did it hold up? The Urbana needed a few adjustments during the review period. After the sort of abuse I put it through, this should come as no surprise. 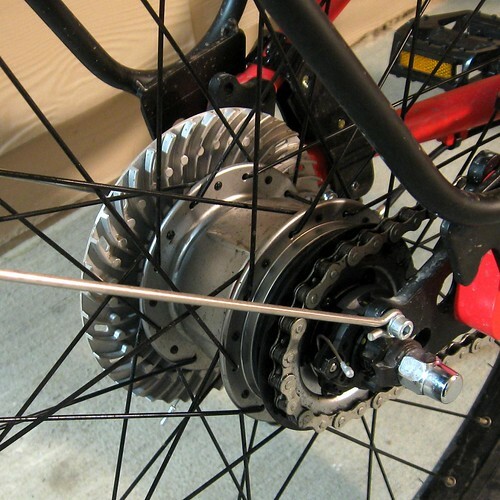 They’re the sort of adjustments that some cyclists would feel alright about doing at home: Tightening the headset, adjusting the brakes, tightening the chain tension and things like that. I’d imagine with normal use, these might be things you need a shop to do once per year or so. Try as I might, nothing broke during the review period. I’m notorious for killing wheels and breaking spokes. The wheels aren’t only intact, but they’re still as true as the day I unboxed the bike. The Urbana, as I mentioned before, weighs in at a somewhat hefty 43 pounds. My test bike was encumbered with pretty much every accessory that KMI is willing to install at the factory: the heavy-duty reinforced cargo rack, fenders, rear kickstand and a chainguard. Acceleration was, as you’d expect, slow going. My 8-speed equipped bike was geared exceptionally well, which is to say it’s geared for climbing and heavy loads, not for speed. The supple tires roll smoothly and quietly. They also don’t seem to add much rolling resistance, despite their width and weight. The head angle on the frame, combined with the steel fork’s “rake” feature gives the Urbana a unique feel on the road. The steering feels somewhat twitchy when you first ride it. You get used to this sensation quickly, though. 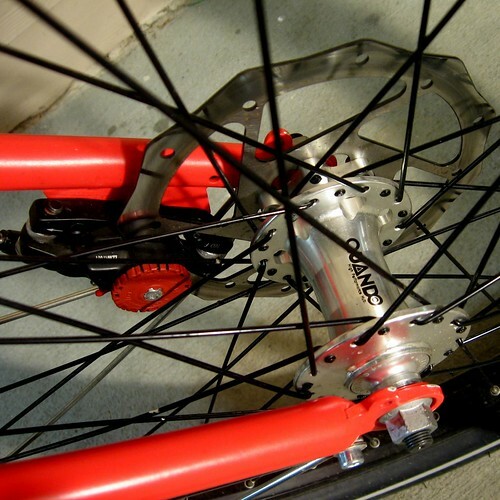 A unique side effect of such extreme caster on the front wheel is that the front fender doesn’t cover much of the upper part of the wheel. The gargantuan tires happily throw water up into the air ahead of the rider, despite the fender, and if you’re moving fast enough or riding into the wind, you’ll get a face full of road grime spray. While the front disc brake stops the behemoth of a bike (and whatever load you’re hauling) quicker than you’d likely expect. As I mentioned earlier, the wide tires work pretty well in low-traction conditions such as sand, gravel, snow and mud, but they’re far from perfect. Today’s muddy adventures proved that thick, slippery mud is better left to knobby tires. 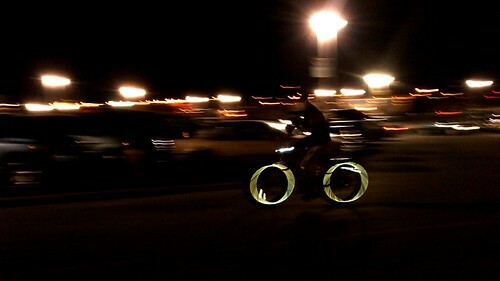 They are otherwise perfect tires for year-round commuting and errands. 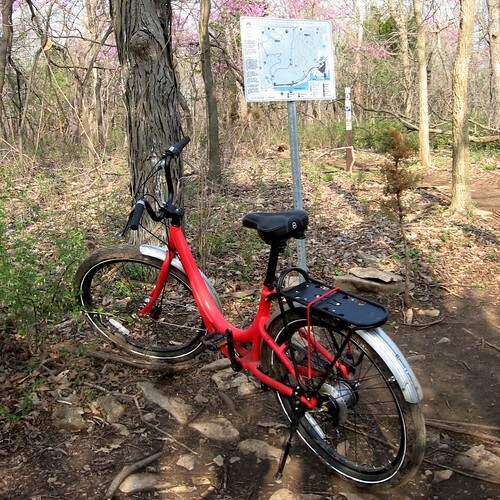 All in all, the Urbana rides much like I was expecting: It’s big, comfortable and has a lot of momentum. It’s the SUV of bicycles, in more ways than one. The custom-engineered RNR rack is sold as an accessory, but without it, I think the Urbana loses its identity. 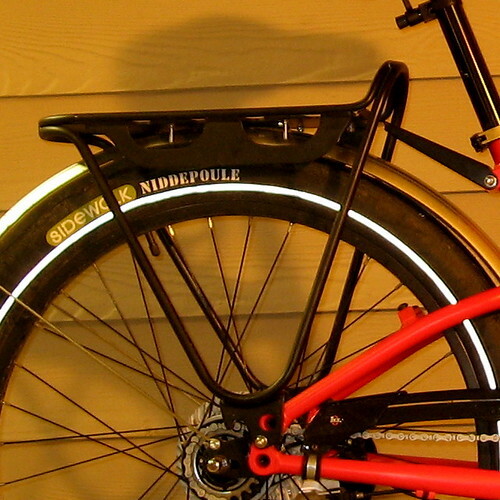 It’s rated to carry well over 100 pounds of dynamic weight, and it attaches to the seat tube with a rigid metal plate that keeps the rack firmly in place laterally, even with the heaviest of loads. The rack itself is made of thick tubing and plate metal, with beefy welds holding everything together. Its unique design suits not only the usual suspects: Panniers, trunk bags, and things attached with bungees and ratchet-straps, but it also holds re-usable shopping bags as well. More on exactly how that works on my personal blog. The most basic singlespeed Urbana will set you back more than $1,000 USD. From there, drivetrain makes the most difference in price. Options include 3 speed Sturmey-Archer or 8 speed nexus IGH and 1×7 derailleur configuration. Toss in some cash for accessories like the RNR rack, and this is NOT a cheap bicycle. That said, it’s probably the last bike you’d need for getting around town. The days I rode 25 miles or more on this bike were NOT pleasant bike rides. This is a runabout bike for short errands. A 5-miles-at-a-time bicycle to get to the office, the bus stop, the bar, the food co-op, the hardware store. It’s a genuine pleasure to ride for these short errands, even when it’s fully loaded. Initially, I didn’t understand the lack of a place to mount a water bottle cage, but now I get it: If you will be out long enough to need hydration, you probably want to think about taking a different bike. I understand the differences, now, between the Torker Cargo T and the Urbana. While I’d like the equipment of the 8 speed internally geared hub, I’d be less than happy to pay for it. The Torker Cargo T can be upgraded, to a Shimano 8 speed and wider balloon tires, for less than the original price of a 1 speed Urbana. I do like the tires, but I think I’ll just buy wider tires for my Torker, and in a few years, when the rear wheel shows its age, upgrade it to the 8 speed. Wide tires are not a problem on the Torker, at least up to 2.35″ as there are no caliper brakes involved. Thanks for covering this new, if pricey, bicycle. Yeah, it’s pricey…but it’s a good bike and one that will last for the forseeable future. Remember that a good bike is an investment, not a disposable toy. What’s REALLY crazy is all these people willing to pay $20k or more for motor vehicles that are predominantly used for trips of 2-5 miles, not to mention all the extra licensing, insurance and maintenance costs. I’ve found the bike to be fun enough for 20 miles of cruising around the hills — certainly better than some of the clunkier commuters I’ve had opportunity to try. My commuter is a Breezer Uptown 8 with the U frame (aka “girly bike”). It has the 8-speed Shimano Nexus IGH hub, integrated dynohub lighting, fenders, a solid rear rack, fat Schwalbe Marathon tires, and a full chainguard. It set me back just over $1000. I’ve ridden it on 25-mile days and while it’s not as zippy as my touring bike with drop bars, I don’t feel terribly sluggish on it. It weighs about 33 lbs., much lighter than the Urbana. Unless you’re carrying huge loads, it’s hard for me to see the advantage of the Urbana over the Breezer. And if you’re carrying huge loads, an Xtracycle kit, a Big Dummy, or a bakfiets might be better. Great Review! Especially useful that this bike can hold the reusable grocery totes (though admittedly some would be more durable for such hauling than others). Love those photos of the front/rear hubs. What kind of camera are you using? Interesting bike and great review! You mention that a single speed is around $1,000 — how much is an Urbana optioned out as tested? 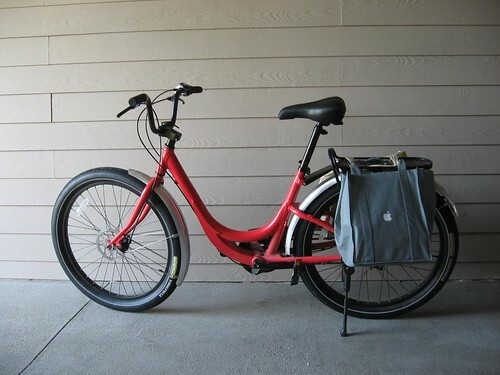 The Urbana reviewed by Noah is an 8 speed equipped with SKS Fenders and Chainguard with the Urbana RNR Rack. Retail on the bike is $1399.99. Rack is $110.00+ SKS Fenders and ChainGuard(~$50.00). 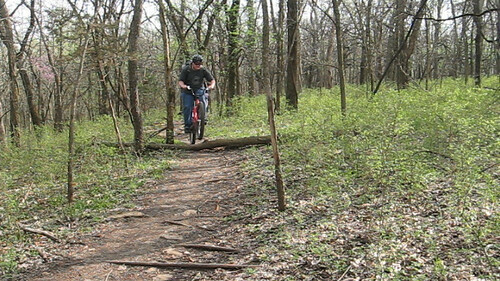 April 12, 2010 at 2:05 pmYeah, it’s pricey…but it’s a good bike and one that will last for the forseeable future. Remember that a good bike is an investment, not a disposable toy. Anyone know if those handlebars on the Urbana are adjustable front to rear? Anyone know if those handlebars on the Urbana are adjustable front to rear? Just checked out some of the Photos and they have answered my question ; Yes they are adjustable. @Mike – handlebar adjustment is by rotating it in the BMX-style stem. It’s a high rise handlebar so you can get quite a bit of fore/aft movement by rotating it. The stem is BMX style and I don’t know if they’re available in many sizes besides 50mm.